Is a quick sale to a real estate investor worth it? House flipping is a misunderstood industry. Sure, these investors promise a quick sale, but legitimate home flipping is valuable to the real estate industry and the community. Home flippers revitalize run-down homes, and market appealing homes to home buyers. In a low inventory housing market, home flips have become a significant percentage of home sales in a low inventory market. ATTOM Data Solutions (attomdata.com), the data solutions behind Realtytrac, recently released its Home Flipping Report for Q1 2018. The report indicated that there were 48,457 U.S. homes that were flipped, which represented 6.9 percent of all home sales. Although the number of homes flipped decreased 3 percent from last year, the percentage of flipped homes in the home sale inventory increased! The number of flipped homes decreased to a two-year low, but the home flipping rate is the highest since 2012. The average gross profit of $69,500 is at the highest point since ATTOM started collecting the data in 2000. Given the stats and profits, it was just a matter of time for the mom and pop home flipping business to become corporatized. Using the power of the internet and corporate financing, companies such as Opendoor, Offerpad, and recently Zillow have become players in house flipping business. Whether corporate flippers are profitable or have a sustainable business model is for another column. But, there is no doubt that home sellers are seduced by one-click instant offers and promises of a quick closing. House flippers are known to buy foreclosures and other financially distressed properties. However, these real estate investors also go after other properties too, as long as it’s financially feasible (it’s a business after all). Other types of targeted homes include estate sales, divorce sales, long-time rentals, and outdated or obsolete homes. So, if you haven’t already received a letter offering you a quick offer and fast closing, it’s just a matter of time. For some home sellers, a quick sale to an investor is fitting. The seller is disposing of a home that would otherwise continue to be a financial burden and deteriorate further. However, many realize they can sell for more on the open market (MLS). Is a quick sale to an investor all it’s cracked up to be? If you’re thinking of selling your home (or even currently selling), you might be fascinated by the idea of a quick sale. But for most, the dream of selling for a large sum and closing quickly is just a fantasy. You should realize that home flipping is risky business, and the investors build their costs into their offer. So, be prepared for a really low offer. A typical investor offer is about 70 percent of the home’s value minus rehab, carrying, and marketing costs. Before you sell to an investor, do your due diligence. Compare multiple investor offers. Verify that the investor is legitimate. Be wary of investors who include extended contingencies. Be aware that “wholesalers” will tie up your home while looking to sell their purchase contract to other investors. Although most investors promise “cash” deals, the reality is that most investors actually borrow money. It is not uncommon for investors to back out or default on a deal because their financing doesn’t come through. Most important, have your attorney review any contract before you sign. Also, talk to a Realtor. You could possibly sell your home for more than the investor’s “instant” offer. Marketing your home on the MLS at a price appropriate for its condition could net you more. The housing market conditions are such that we are on the verge of experiencing a déjà vu. Two years ago, winter home sales were fueled by rising mortgage interest rates, low inventory and pent up demand. As I predicted in a November 2016 column, rising interest rates and pent up demand were credited for the almost 10 percent jump in home sales by the end of January 2017! The massive jump in home sales occurred during the deep winter, when existing home sale inventory dropped about one-third of the summer inventory. Sellers who had a winter home sale during 2016-17 were greeted by eager home buyers and faced little competition. Fast forward to 2018. Yes, admittedly, home sales have slightly dropped off during summer. But many are attributing this phenomenon to the lack of inventory. Consider that Montgomery County existing single-family home sale inventory was almost 20 percent lower than that of the summer of 2016. Although summer home sales dropped off, indicators point to a hot winter housing market. Moderating home prices, combined with pent up buyer demand and a strong economy could make a winter home sale ideal. It’s clear that home buyers facing rising interest rates have taken a pause. But as rates approach 5 percent, positive economic sentiment is lessening the shock and many are planning to buy before rates creep higher. Giving perspective to the mortgage rate hysteria, current mortgage rates are about the same as they were during 2014. Additionally, the last time we saw mortgage rates above 5 percent was in 2010. Rates exceeded 6 percent when home sales broke records during the market buildup of 2006. Another indicator that a winter home sale may be primed is the most recent Fannie Mae Home Purchase Sentiment Index (No Thanks to Housing, Home Purchase Sentiment Edges Up; fanniemae.com; August 2018). Home buyer sentiment increased the first time since May. Economists attribute this uptick to a strong economy along with the awareness of the recent market slowdown. The job and income related index components increased significantly indicating that buyers feel financially more secure with a home purchase. There is also a belief that home prices may moderate due to the summer sales slump. Winter home sales tend to have less competition and serious home buyers. As I said in 2016, don’t wait until spring to sell your home! If you wait until spring to list your home, you’ll be faced with a profusion of seller competition. Although the volume of home sales is below last year’s figures, most homes are still selling. Of course, home sellers would prefer to have a fast home sale. When meeting with potential listing agents, home owners are typically overwhelmed by agents promoting their broker’s technology. But the research is clear that it’s not technology that sells homes, but rather your MLS listing content and the audience that can sell your home fast. Three years ago, I introduced cutting edge research by Allen, Cadena, Rutherford & Rutherford (Effects of real estate brokers’ marketing strategies: Public open houses, broker open houses, MLS virtual tours, and MLS photographs; The Journal of Real Estate Research; 2015; 37(3), 343-369). Although the study focused on the listing agent’s motivations about spending money on promoting your home, it did shed light on the effectiveness of marketing staples such as: broker open houses, public open houses, MLS photos, and MLS virtual tours. Although these tactics may not promote a fast home sale, the study revealed that all four methods used together positively influence the home sale price. They found that having six or more MLS photos increases the probability of a selling your home, as well as positively influencing the sale price. Having a virtual tour can decrease the home’s time on market as well as increasing the probability of selling. Having open houses can help sell your home at a higher price, but can take longer to sell. Contrary to conventional wisdom, having public open houses can increase your home’s time on market up to twenty-five days, while reducing the chances of it selling by 6.1 percent! 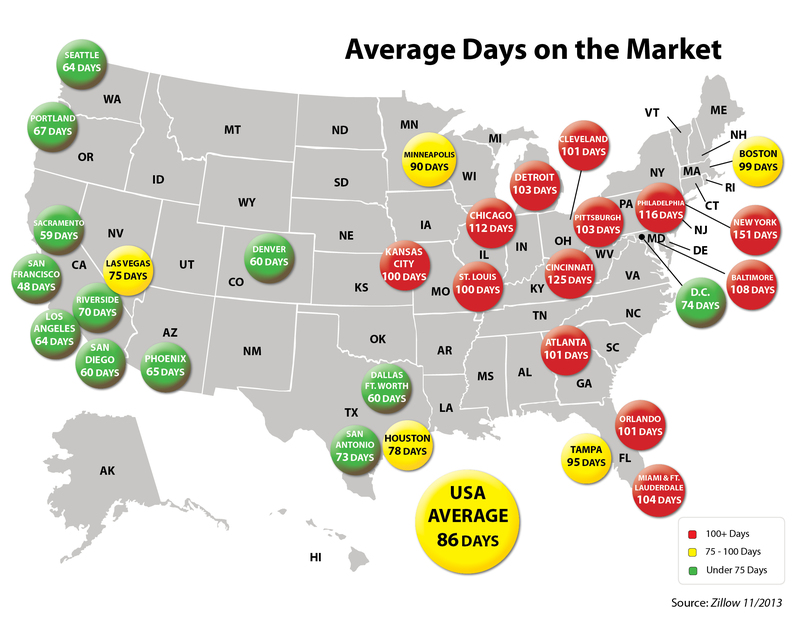 Broker open houses also adds to the time on market, however increases the likelihood of selling your home. The conclusion was that all four tactics should be considered as a package if your goal is to get top dollar. However, if your goal is a fast home sale, your focus should be elsewhere. Do pictures help with a fast home sale? A number of studies found that MLS photos and virtual tours have positive effects to home sale price, but are conflicted with regard to time on market. However, a study conducted by Benefield, Cain & Johnson (On the Relationship Between Property Price, Time-on-Market, and Photo Depictions in a Multiple Listing Service; The Journal of Real Estate Finance and Economics; 2011; 43(3), 401–422) indicated that having more photos of the home’s interior can increase the time on market. A study published this year suggests that getting more real estate agents to view your MLS listing can sell your home faster. Allen, Dare, & Lingxiao (MLS Information Sharing Intensity and Housing Market Outcomes; The Journal of Real Estate Finance & Economics; 2018; 57(2), 297-313) found that just increasing the MLS listing view by one unit can increase the probability of selling your home by 5.7 percent, increase the sale price by 0.2 percent, and reduce time on market by 1.6 days. So, what does all this research mean to you if you’re selling your home? First, consider that your agent’s marketing strategy will certainly affect your home’s sale price and days on market. While possibly helping to get a better sale price, the research has demonstrated that having a broad marketing plan could increase your home’s time on market. To decrease the days on market and increase the probability of a sale, pay attention to the pictures and audience. Make sure your agent places high-definition photos of your home in the MLS, but limiting shots to the most relevant. Also, make sure your agent has a plan to get your MLS listing in front of other agents. As winter approaches, many home sellers will be contemplating their next move after their homes have not sold. It is likely that a volatile housing market awaits home sellers during the first half of 2018. If you’re planning to list your home, you should have a selling plan that is able to adjust to market conditions quickly. In other words, know about home selling in a buyer’s market. The good news for home sellers is that this year’s home sale prices continue to climb, as the September 26th 20-city composite of the S&P Corelogic Case Shiller National Home Price Index (spindices.com) revealed. The national index during July increased 5.8 percent compared to the same period last year, while the Washington DC area realized a 3.3 percent year over year gain. However, there is expectation home sale prices may moderate or even slightly decrease in the first quarter of 2018 because of Fed policy and other market forces. Since these are August sales figures from the NAR, it is an unfortunate truth that August sales were not really affected by hurricanes. Mostly because hurricane Harvey hit Texas the very last days of August and Irma hit Florida in September. The main affects of the hurricanes disruption to existing home sales will be seen in September’s statistics. And “missed closings” is a euphemism for phantom closings, because they don’t really exist. So, with regard to sliding home sales, you should take Yun’s “headwinds” of supply and affordability very seriously. Home selling in 2018, a buyer’s market? Home sellers positioning themselves solely on this year’s home sale prices may be in for a rude awakening next year. Sellers may feel as if the market is getting soft, however that may change the latter half of 2018 as home prices moderate. Sellers will need to be reasonable. They will need to have awareness of many factors besides home sale prices, including existing home sales volume and neighborhood sale trends. Including home selling in a buyer’s market. If you’re planning to sell your home, you will need to play to your audience (home buyers), and listen to their feedback. Know how to sell in 2018. Prepare your home before listing it in the MLS by repairing deferred maintenance and possibly making updates. Home buyers have a track record of paying more for a home that has been totally renovated. However, if you don’t completely repair and/or update your home, be prepared to lower your sale price. Be flexible to quickly adjust to a seemingly buyer’s market. Feedback is highly important to get other’s perspectives about your home. However, take Realtor feedback with a grain of salt. Instead, have your agent collect buyer feedback at open houses. Home buyers tend to be more honest when giving feedback, and it can be especially helpful in a buyer’s market. If the consensus is that the price is too high, the price may actually be too high. If buyers are turned off by the condition and/or curb appeal of the home, consider making repairs or lowering price to reflect the condition. If they are focused on your décor, consider hiring a professional stager to make the home more appealing. Rather than a soft market, we are experiencing the struggle for a balanced market due to an inventory shortage and sharply decreasing affordability. The last year and a half has been all about the home seller. However, 2018 will be about the home buyer. Home selling in a volatile or buyer’s market can be challenging. If you’re planning a sale, be realistic about your home’s condition and value. Over pricing your home from the start can make your home languish on the market, which could get you a much lower price if it sells. If you’re selling your home, check your Zillow listing. You may find that the information may not be complete. Or worse, the information posted is from a previous sale. But don’t worry, Zillow now gives you the tools to take control, attract home buyers, and improve your sale. Most of the information you see on your Zillow listing is syndicated from the MLS. This means that your listing agent uploads information to the MLS and the MLS sends it to other websites. If you’re not happy with the listing, your agent can change some information via the MLS, and/or log into the Zillow listing to make changes. However, if your listing agent is too busy to service your listing or does not know about logging into your Zillow listing, you can now take control and attract home buyers. Zillow offers home owners the opportunity to “claim” their home to access features to personalize information to help home buyers (and Zillow) to get a better picture about their home. The “Personalized Owner Dashboard” gives you control of your listing (zillowgroup.com/news/personalized-owner-dashboard). Of the many available tools, online metrics is useful to see how much attention your home is getting from home buyers. You can view your home listing’s online activity, including how many times the listing has been viewed compared to your competition. Improve on the house description by adding “What I love about the home.” This feature conveys to home buyers what attracted you to your home. Elicit the home buyer’s emotions to visit it and attract home buyers by adding your story. The MLS limits the number of pictures on your listing. So, solely relying on the MLS feed can also limit your Zillow listing. Increasing the number of pictures and adding video can make your home listing more robust, and attention getting. 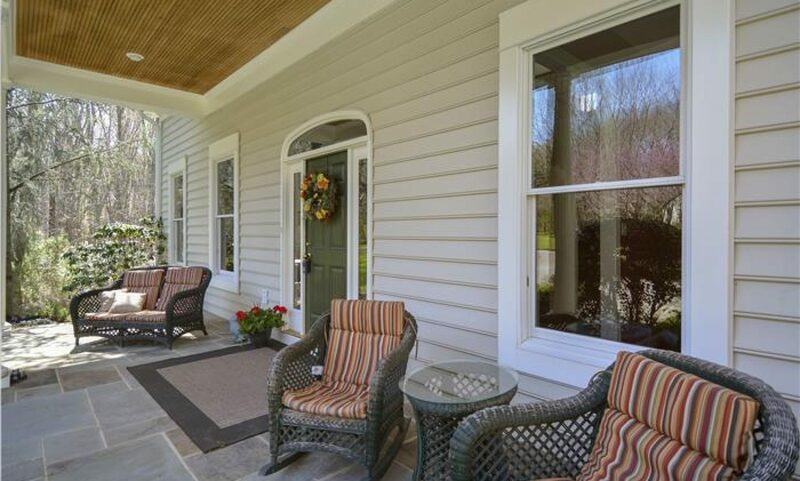 Zillow allows you (and your agent) to upload additional pictures. You can upload, arrange, and describe additional photos to help give home buyers the best view of your home. Zillow even lets you upload a video that you record from your smartphone! Besides including a link to the MLS virtual tour, Zillow added the “walk through” video feature last year. Not happy with your Zestimate? You’re not alone. Zillow’s Zestimate tool has received mixed reviews since its inception. Many home buyers and sellers have used the tool as a guide in to help their buying and selling by looking at house and neighborhood trends. However, there has been criticism from home owners and real estate agents saying that home valuation tool is not inaccurate and does not correctly portray their homes and listings. As a response, Zillow has changed the algorithm over the years. And this year, Zillow announced a $1,000,000 prize for the best model to improve the Zestimate tool (zillow.com/promo/zillow-prize). But that hasn’t stopped a class action suit that complains that the Zestimate is “misleading” home buyers (Rachel Koning Beals; Do Zillow ‘Zestimates’ mislead home buyers? Lawsuit claims yes; marketwatch.com; May 23, 2017). Attract Home Buyers – Improve your Zestimate. Yes, you can improve your Zestimate. The dashboard allows you to update the facts about your home. Updating your home’s information will give home buyers a better description, and it can possibly improve the Zestimate. Since the Zestimate is based on public records, all your home’s information may not be current or complete. Telling Zillow about the extras, such as bathrooms, a finished basement, a deck, etc. can be a plus and attract home buyers.